Welcome to my birthday bash! Amazing. 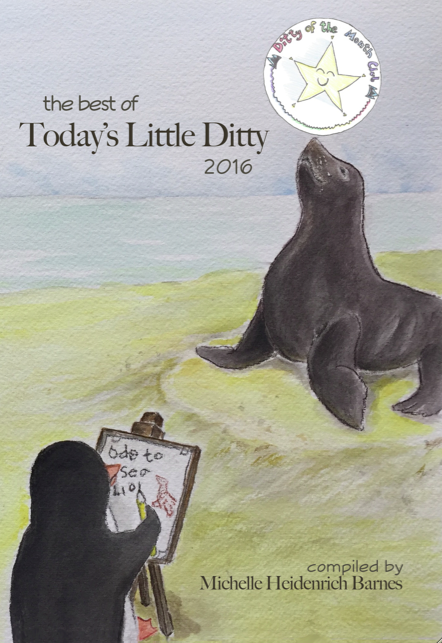 My blog baby, Today's Little Ditty, turned one year old this week. I appreciate you dropping by to help me celebrate! We'll get the party started with a round of mini-golf, then some special announcements, and wrap things up with cake and the Poetry Friday roundup. 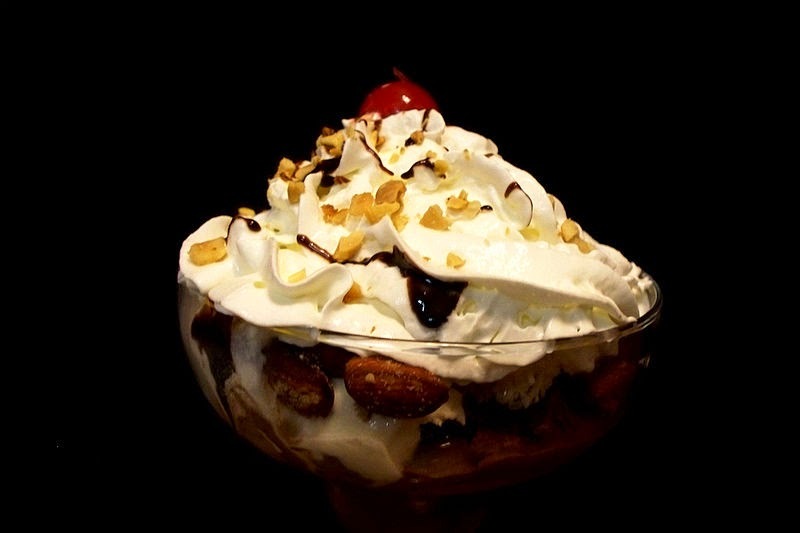 Speaking of bowls, is it time for ice cream yet? No, not yet. But it is time for some delicious announcements! When I debuted Today's Little Ditty on April 10, 2013, I had no idea of the wild and wonderful year in store, nor the special relationships I'd make along the way. I did, however, have a pretty clear vision of what I wanted this blog to become. Sure, I wanted a place to showcase my own work, but more than that, I wanted it to be a fun community playground of sorts. That's why I introduced Haiku Garden, Limerick Alley, and Five For Friday parties like last week's poetry celebration. Now I'd like to take Today's Little Ditty three steps further in that direction. Please help me welcome my new team of contributors to Today's Little Ditty! 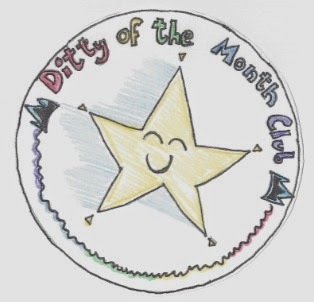 The Ditty of the Month Club! This is a club for anyone and everyone. (Even my kids are excited to join in.) Each month, we will be given a new poetry challenge– a theme and/or form to write our own poems. Several may be featured as daily ditties, but all of them will be collected in one wrap-up post at the end of the month. Holy smokes, it's DITTYMANIA! But wait, there's more... who do you suppose is going to come up with these challenges? Nope, not me. Here, I will be interviewing authors, anthologists, editors, agents... whoever I can get my hands on in the business of children's publishing. These are the folks who will be coming up with the month's ditty challenge. Sometimes, they may even have a special goodie to offer as a reward at the end of the month. How cool is that?!! Are you, or is someone you know, an author or anthologist with a book coming out this year? Or maybe you know of an editor or agent who might find it fun to take part in the Spotlight ON series? Send me an email by using the contact form in the sidebar to the right. 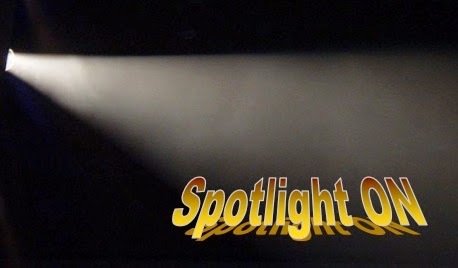 The spotlighted author for May is already lined up, but I can't give away ALL my surprises today, now can I? Many, many thanks to all of you who will be helping my birthday wishes take flight over the next year! And now here's my gift to you: the Poetry Friday roundup! Leave your direct link and a few words to describe your post in the comments and I will add them here throughout the day. 1. Robyn is showcasing a wonderful young poet, Liana Kiln, in her Haiku Student Poet of the Month series at Life on the Deckle Edge. 2. At Author Amok, Laura Shovan's "Source Poems" series continues with guest blogger Mary Bargteil's allegiance to T.S. Eliot's FOUR QUARTETS. 3. Elizabeth Steinglass treats us to an uncommon view of a violet– just one of many treasures she is exploring in her "Backyard Treasures" series this month. 4. Myra celebrates diversity and the voices of the silenced with Langston Hughes' poem, "I Dream a World" at Gathering Books. 5. At Buffy's Blog, Buffy shares an original poem inspired by a predatory encounter in her suburban neighborhood. 6. Diane's trio for us today includes puppet poems and a little music at Random Noodling; New Hampshire poet, Richard Eberhart, and an excellent Poetry Month slideshow presentation at Kurious Kitty's Kurio Kabinet; and a quote by Eberhart at KK's Kwotes. 7. Matt is is with a fun, original poem at Radio, Rhythm & Rhyme, and check out all the other events he'll be participating in this month as well. 8. At Tapestry of Words, Becky is celebrating her favorite poets this month. Today she focuses on Christina Rossetti. 9. Linda Baie at Teacherdance has been wandering into the realm of haiku. She shares an original haiku from something she saw on the way home one day. 10. Join Bridget at wee words for wee ones for an original and hilarious take on an overprotective mom and a daredevil kid. 11. Over at The Poem Farm today, Amy has "Suitcase," #11 in her series of original THRIFT STORE poems. 12. Violet Nesdoly has written an array of punny poems in response to a Homophoem Poetry Stretch challenge. 13. Catherine shares a beauty of a poem by William Wordsworth, "I Wandered Lonely As a Cloud," at Reading to the Core. 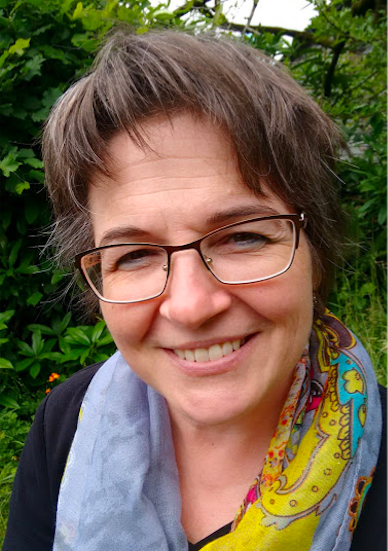 Catherine has also started a blog for parents, Mrs. Flynn's Literacy Corner, where today she discusses the importance of sharing Mother Goose rhymes with little ones. 14. Join Lorie Ann at On Point for an original haiku, "Dancing on the Volcano." (Something for the bucket list, perhaps?) 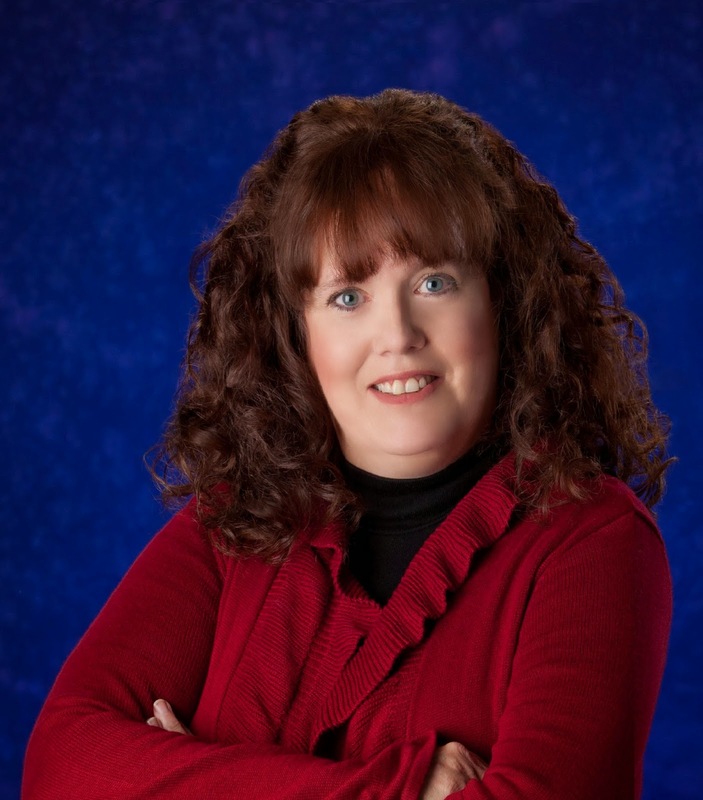 At readertotz, Lorie Ann reviews PRESTO CHANGE-O! A BOOK OF ANIMAL MAGIC. 15. 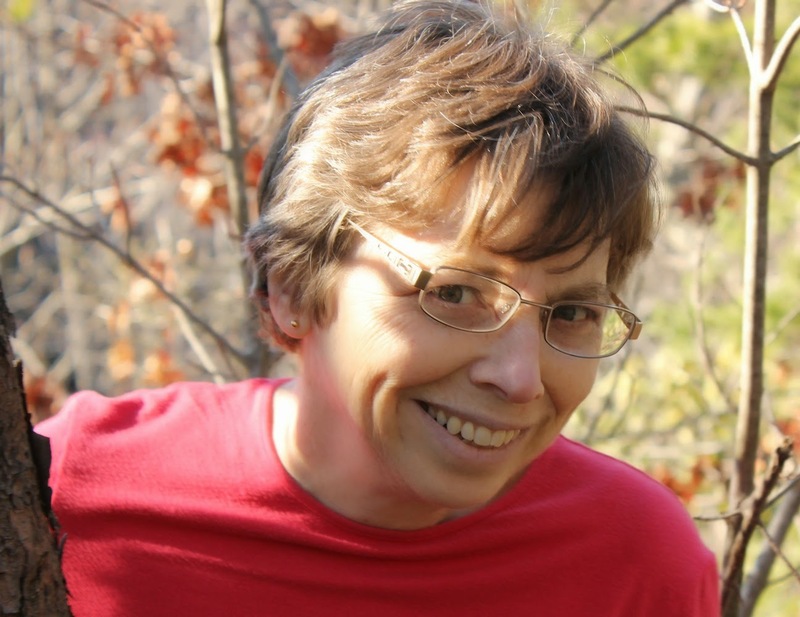 Tabatha shares poems by Diane Mayr and Megan Arkenberg as part of her wonderful "Directory of Imaginary Poems" series at The Opposite of Indifference. 16. Stop by Charles Waters Poetry to catch up with Charles' goings on and to read his original poem, "Aerial Beauty." 17. At my juicy little universe, Heidi visits the Progressive Poem for another entry in her National Poetry Month Travel Journal. 18. Mary Lee's poetry travels have taken her to the CN Tower. 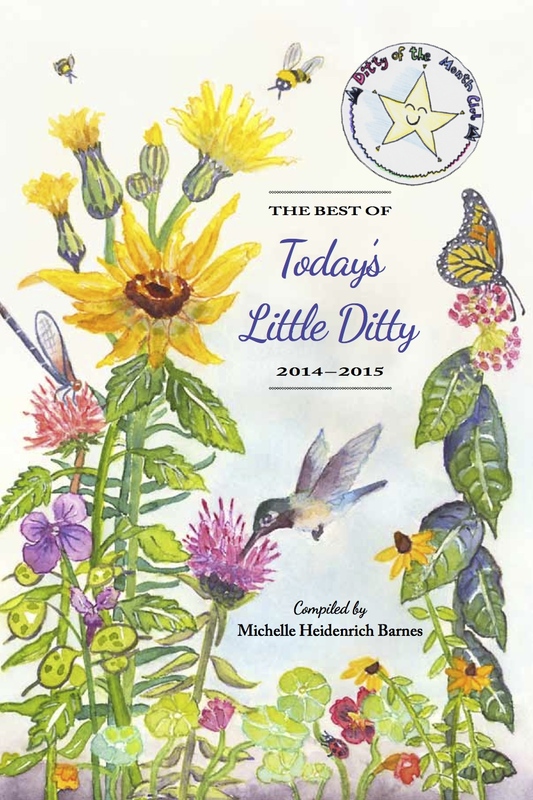 You can find her "Our Wonderful World" poem-a-day Poetry Month Project at A Year of Reading. 19. At Reflections on the Teche, Margaret offers an answer to the question, "Why Poetry?" using an interesting slideshow format and she also takes a different spin on an I am From poem. 20. Tamera Will Wissinger features a call for children's poetry submissions and an original book spine poem she created for Travis Jonker’s book spine poem gallery. 21. Irene is in today with some wise words from Paul Janeckzo and a look at FIREFLY JULY over at Live Your Poem. 22. 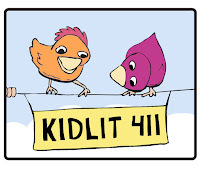 Laura Purdie Salas' "riddle-ku" series continues at Writing the World for Kids. 23. Linda Kulp at Write Time provides today's line for Day 11 of Irene Latham's Progressive Poem. 24. It's "J-day" at Mainely Write, featuring an original poem called "Just Across the Street." Donna's A-Z challenge has been to write poems that celebrate book titles by Maine authors. 25. Jeannine's post today at Views from a Window Seat celebrates Richard Wilbur's ode to laundry and angels, "Love Calls us to the Things of This World." 26. Doraine has the cinquain of the day for us over at Dori Reads. 27. Amy at Hope Is the Word reviews MY AMERICA: A POETRY ATLAS OF THE UNITED STATES, compiled by Lee Bennett Hopkins and illustrated by Stephen Alcorn. 29. At Bildungsroman, Little Willow has lyrics from Where is Love Now? (originally by Sam Phillips, newly covered by Nickel Creek). 30. Jan celebrates poetry with a green theme today at Book Seed Studio. She showcases three wonderful book selections: THE GREAT BIG GREEN, WELCOME TO THE GREEN HOUSE, and HAILSTONES AND HALIBUT BONES. 32. The finals of #MMPoetry 2014 wrapped up last night with Samuel Kent's brilliant "A Letter on Behalf of Ampersand" defeating Josh Close's totally wacky "A Penny for your Thoughts." Ed DeCaria asks that you pop over to Think Kid Think and check them out if you haven't already. 33. At GottaBook, Greg's "30 Poets" series continues with poems by Avis Harley and Charles Waters. 34. 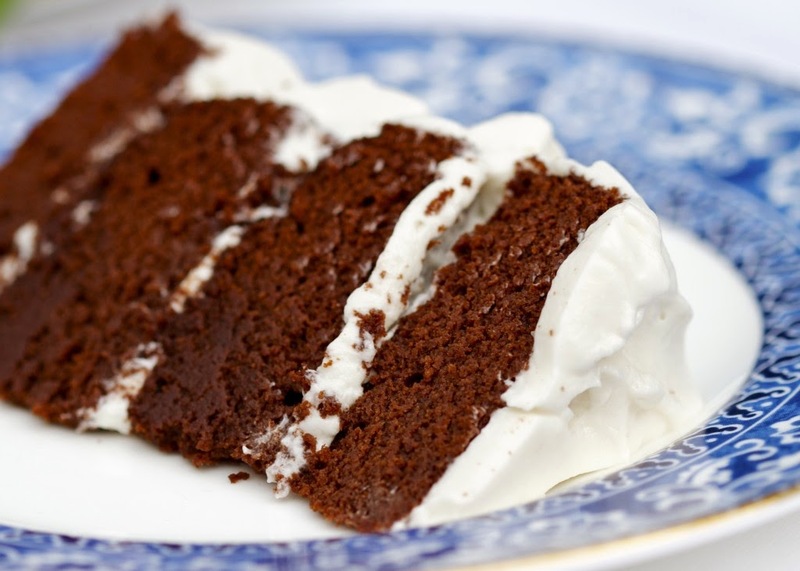 In case today's cake and ice cream was not quite enough, Karen Edmisten is featuring Mark Strand's "Eating Poetry." 35. Joy has been diving into haiku at Poetry for Kids Joy. She offers several of her own creations and a challenge for us all to try. 36. Keri is in with an original poem about pine pollen at Keri Recommends. Achooo! 37. At Poet! Poet!, Anastasia is in a gardening mood with an original haiku titled "Pruning the Roses." 38. Betsy at I Think in Poems shares two favorite poems that have grown from her Facebook Collaborative Poetry Project this month. 39. Angie Karcher would like everyone to know about RhyPiBoMo (Rhyming Picture Book Month), where 35 amazing guest bloggers and 35 daily lessons are helping writers understand more about writing poetry and rhyming picture books. Registration ends April 16th. 40. At Wild Rose Reader, Elaine has an original list poem titled "Things to Do If You Are a Mole." 41. Emily Jiang addresses the topic of revision and poem formatting today, using her original poem, "Magical Melody," from her newly published book, SUMMONING THE PHOENIX: POEMS & PROSE ABOUT CHINESE MUSICAL INSTRUMENTS. 42. Janet reviews LOCOMOTION by Jacqueline Woodson at All About the Books. 43. At Used Books in Class, Mrs. Bennett takes a closer look at the lyrical language of Puccini's La Bohème. 44. Carol has been participating in Mary Lee Hahn's "Our Wonderful World" series this month. You can find her CN Tower poem at Carol's Corner. 45. Tricia is in with an original poem about baseball at The Miss Rumphius Effect. 46. At Blue Window, B.J. Lee shares some final thoughts about being in the March Madness children's poetry tournament along with her round four pantoum, "Behind the Dancing Rain." 47. Tara's classroom has been pondering the lives of early pioneers. She shares Willa Cather's "Prairie Spring" at A Teaching Life. Happy Bloggy Birthday, Michelle! And wowsa, you know how to celebrate. I think maybe you haven't slept in the past year. 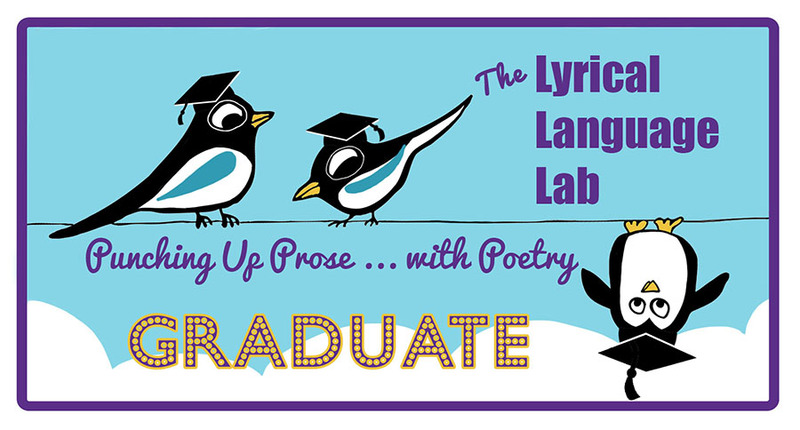 Looking forward to all the poetry fun to come, from you and these Fabulous Fab Four! Happy Poetry Month, and thnks fr the (mnnchamunch) cake! 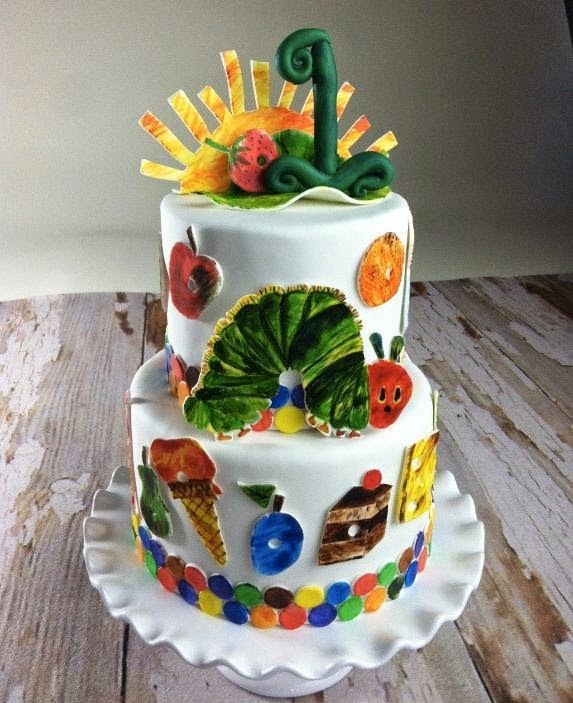 Michelle, congratulations on your blog birthday! I've had so much fun reading your posts, but especially playing limerick challenge with you this past year. And I'm looking forward to our next poetic adventure together, 'cause this class act likes to play (not that you could tell from my photo). My NPM series on "Source Poems" that carry significance in an author's life continues today. 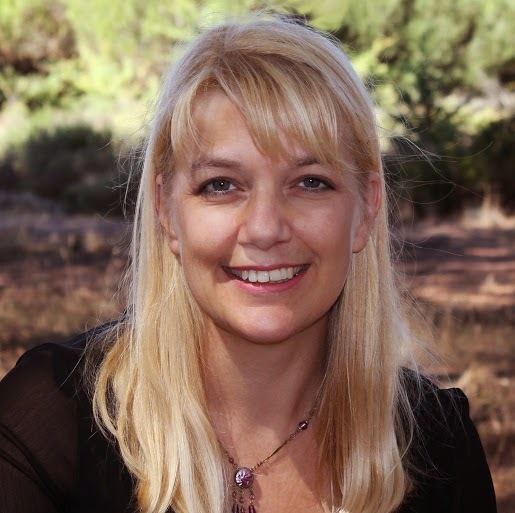 Guest blogger Mary Bargteil writes beautifully about the copy of T.S. Eliot's FOUR QUARTETS she carried around with her four years. The last section of the long poem, in particular, is one she returns to with deeper understanding each time Mary reads it. Happy Birthday! Boy, do you know how to throw a party! I loved the mini-golf and all the exciting announcements. You've given US so many presents. All the excitement has worn me out. I have been writing poems about backyard treasures all month. This week I wrote about a wall, a sweet gum ball, half an empty hickory shell, etc. Today's post is about violets. Thanks again for inviting us to your party. Happy Blogiversary dearest Michelle - what an exciting time you're having with your blog - so many fabulous and creative ideas - I love how vibrant and ever-growing this community is. I am truly looking forward to reading guest posts from your fab-four - what an apt description. Enjoyed reading through your concrete poem (that is what it's called, right?) - love the layout and the structure and the gorgeous words. Thank you so much for hosting too. Here's my Poetry Friday link this week - Langston Hughes' I Dream a World. Thanks so much, Myra. To be honest, I'm not exactly sure what this poem's formatting would be called. I believe concrete poems are usually more distinctive in the shape that they take, a flower, a house, a car, a cat, etc. Good thing I have a team of experts now to answer that question for me! Happy Birthday Blog! Love your mini-golf poem (we call it golfito around my house, because of the influence of my Mexican brother-in law.) I'm glad to be part of your party! Delighted to have you around, Buffy. And happy birthday to you too! Congratulations, Michelle! It looks like lots of fun is in store for us all. Brava! Enjoy the nice weather everyone! Follow Michelle's lead, as she so wonderfully demonstrated through her poem, and play a little golf, or baseball, or throw a frisbee. Have fun. Congratulations on your blog's birthday - and on all the great things that are happening with it! That's quite a team you've assembled...best wishes with your second year! And being a parent, I've played many a round of mini-golf, so I can completely identify with this poem! Happy Blog Birthday! Wow - you are a mover and a shaker, Michelle! Looking for all of your blog delights. Thanks for hosting PF, too! Over at The Poem Farm today, I have "Suitcase", #11 in my series of THRIFT STORE poems. Happy Blogaversary, Today's Little Ditty! What a great day to be Poetry Friday Host -- thank you!! It looks like you have an exciting and busy agenda planned for the next year. Thanks for hosting today! Can't wait for all the fun you have planned for us in the months to come! Loved your poem and the fun announcements, Michelle! At On Point I have my haiku Dancing on the Volcano which just popped out and surprised me. So great when that happens. Happy birthday! Thank you so much for inviting me to be a part of Today's Little Ditty and this wonderful team. Looking forward to getting started! Thank you for your sweet comments, Renee. Today's Little Ditty will be all the better with you hanging around! Hi Michelle. Thanks for hosting Poetry Friday. Got some good stuff today on my blog at POETRY TIME. Wow, Michelle! Today's Little Ditty is becoming more like Today's Bigger Giggy! What a lot of great ideas to look forward to, and I adore your collection of jimmies. I'm in today with another stop on my NPM Travel Journal, at Tabatha's line for the Progressive Poem. I'll second Heidi's WOW, and add a giggle at her "Today's Bigger Giggy!" The 11th poem in my Our Wonderful World poem-a-day Poetry Month Project is inspired by the CN Tower. Exciting times for Today's Little Ditty. Happy Birthday! Enjoyed the shape of your golfing poem. Reminds me of many Putt Putt games on vacation. I'm in today with my Why Poetry? answer using Tapestry and a new take on the I am From poem. Wow, Michelle, you have so much good news this Poetry Friday! Congratulations on your blog’s one year birthday, and for your fabulous team of contributors and your new feature! Thank you for the mini golf poetry and ice cream and cake – THWACK! I love them all! Thanks for hosting PF! Oh, my! What an exciting time! Happy blog birthday! I'm in today at http://lindakulp.blogspot.com/ with my addition to the 2014 Progressive poem. Have a wonderful weekend! I'm in with my original poem "Just Across the Street". I'm in the A-to-Z Challenge, writing poems for book titles of books written by Maine authors. Wowee zowee, you sure know how to throw a party! I was there with the cake, but I love how you take this year's successes --- great playground you've created -- and push it up to a whole new level. Congratulations on past successes and I know the future with this extra crew will be fabulous. And I like the golf poem, particularly the drop at the end. You've been busy this week! A fun golf poem. We watched some of the Masters yesterday. It's not too far from here. Happy blog birthday! I love the THWACK! of your golfing poem. Aren't shape poems fun? I posted lyrics from Where is Love Now? (originally by Sam Phillips, newly covered by Nickel Creek) at my blog, Bildungsroman. Thanks x3 Catherine-- for the book, for your interest in the Spotlight series and for your invitation to guest post on your blog! I'll email you. In case you missed it, The Finals of #MMPoetry 2014 wrapped up last night with Samuel Kent's BRILLIANT "A Letter on Behalf of Ampersand" defeating Josh Close's TOTALLY WACKY "A Penny for your Thoughts" 2 votes to 1. Samuel won the Public Vote (421-281) and the Authlete Vote (39-7), while Josh won the Classroom Vote (17-6). If you haven't read them, please pop on over to read them -- you won't be disappointed! -- and add to the 100+ comments below the poems. Thanks! re: #MMPoetry2014 Bravo! & bravA! to all the poetry authorletes who endured their flites & seeds, only now to be outside, in fresh air, one hopes, seeding some spring seedlings. This is a fabulous game provided by a sleep-deprived poet of great generosity. Thank ye Ed DeCaria/Charles Mund. This is brilliant, wacky & so much more. First visit, via Robyn & PF. Great links - eager to read student Haiku & Haiku Haiku, about a daredevil kid & puppet poems (curious! ), delving into a suitcase from a thrift store, listening to poets read the "Counting out Rhyme" & so much more. But the showstopper, a poem about golf. It makes me stop & enjoy something I know nothing about. It's a hole-in- one birthday fun. Thanks for organizing the party! Happy blog b-day! I'm up today with poems by Avis Harley and Charles Waters. Over the last few days, I've shared poems by Joyce Sidman, Adam Rex, Marilyn Singer, and many, many more, too. Cuz, like, it's poetry month! And at readertotz we have Presto Change-o. So fun for Poetry Friday! What a great, packed post! Sharing your mini-golf poem with my youngest daughter today. I'm in with Mark Strand's "Eating Poetry" -- it's here. Thanks for sharing my poem with your youngest, Karen. It makes me smile to know my poems are reaching their intended audience. Happy Blog Birthday, Michelle. Oh what fun and what an accomplishment. And what fun it looks like you have in store for us. I love your poetry mania back up singers. Great group. Thanks for hosting us today. Happy birthday to you, Michelle! Thanks for hosting! Thanks for hosting Michelle. I have two of my favorites from a Facebook Collaborative Poetry Project I started on April 1st. It has been fun watching these grow each day. Thanks for doing the Roundup this week! Sorry to be so late submitting my poem--but I've been having trouble connecting to the Internet today. At Wild Rose Reader, I have an original list poem titled "Things to Do If You Are a Mole." I love your poem, especially the fun formatting! It's rather a happy coincidence that my topic for Poetry Friday is revision and poem formats. I'd like to share the original format of a poem I wrote for my newly published book Summoning the Phoenix: Poems & Prose about Chinese Musical Instruments illustrated by April Chu (Shen's Books/Lee & Low). This poem "Magical Melody" was revised until the words fit the gorgeous artwork. It was one of the few times I actually allowed the format of my poem to be so drastically changed, but in the end, it was so worth it! Happy Blog Birthday! Thanks for hosting Poetry Friday! Happy Birthday and thanks for hosting. My selection is "Locomotion" by Jacqueline Woodson. I'm in today with a poem on baseball. Oh, and I forgot the most important part: Happy Birthday! Happy Birthday, Michelle. This is quite a wonderful, useful post. Thanks. Happy blog birthday! I'm so sorry to have missed the link up time for Poetry Friday, but it's been a crazy busy week. However, I'm glad to stop by to wish you a happy blog birthday. I'm so excited about your upcoming fun. Thanks for sharing your poem too. I love its shape and had to laugh at the golf game.